Just six months after the start of development, on May 5th, 2003, LinkedIn officially launched. After the first week, the site had registered close to 12.5K users. Still, according to the company’s own numbers, growth was initially slow, and some days saw as few as twenty signups. Nevertheless, within four months, LinkedIn had hit the 50,000 user mark, and the company, behind the bonafides of its founding team and early promise, landed $4.7M in venture capital from Sequoia Capital in its first major financing round. Within a year of launch, they’d reached 500,000 users. In 2006, just three years post-launch, they achieved profitability. Then in 2011, eight years after their initial launch, LinkedIn became a publicly traded company. So how did LinkedIn grow from as few as 20 signups on some of those early days, to where they are today, almost eleven years later, as a publicly traded company with a market cap of nearly $18 billion, and a network of more than 225 million users from 200 countries and 4,800 employees? “There was an imbalance among those looking for jobs and those looking to hire, and between those with money to invest and those seeking funding. As a result, these kinds of people built screens around them and used trusted contacts as filters before communicating with others." A 2004 Forbes article sums up the site’s core concept nicely, explaining that in the business world, “the most critical step towards finding a job, finding an employee or finding a business partner is getting a high quality referral.” Yet referrals aren’t always easy to come by, especially because people typically have no way of knowing who their connections know. LinkedIn draws upon the theory of six degrees of separation—or, the idea that people are six introductions away from anyone they want to meet. As they’ve publicly acknowledged, the theory of six degrees of separation—the core concept informing LinkedIn—was not original to Hoffman and the team. Rather, it originated from Andrew Weinrich as the principle behind the networking site SixDegrees.com, which launched in 1997. Weinrich was granted a patent on the six-degrees concept in 2001. Six Degrees grew to 3.5 million users before being sold, at the height of the dotcom boom, to Youthstream Media Networks for $125 million in stock. Within three months, however, the site had been shut down, and it wasn’t long after that until Youthstream was out of business entirely. Nevertheless, the concept behind the site had proven to be worthwhile, which is why LinkedIn, along with others, acquired the sixdegrees patent for $700,000 in 2003. It forms the basis of their IPO portfolio. 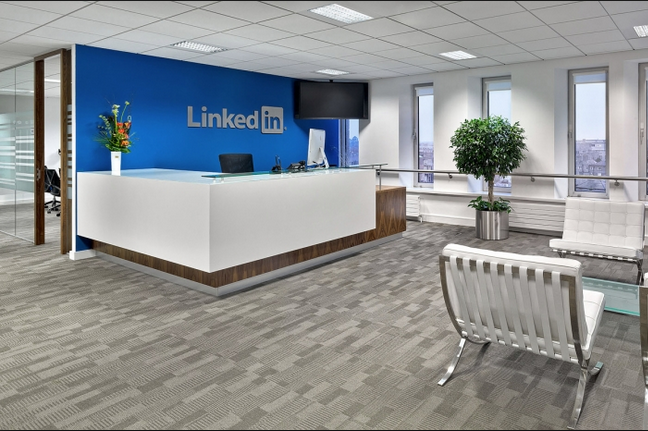 Although they took their core concept from Six Degrees, LinkedIn differentiated themselves from the defunct site as well as other social networking sites popular at the time. Rather than letting users initiate contact with anyone and everyone (as was the case for Friendster, the most popular network at the time), LinkedIn users would be restricted to trusted connections that they knew personally or were referred to through others in their professional network. This gated-connection system helped curb spam and unsolicited invites, making LinkedIn a safe place for sought-after executives like Marc Andreessen, Jerry Yang, and Pierre Omidyar to participate without being inundated with unsolicited requests, while still allowing the site to function as a powerful tool for users to get introductions through their professional networks. Not only that, but as we’ve already mentioned, user acquisition was initially slow. 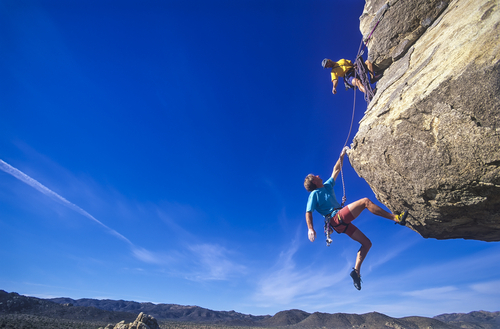 Despite these challenges, LinkedIn stayed focused on growth. Echoing LinkedIn’s long-view approach, co-founder Allen Blue advised young companies, at a San Francisco growth hacker’s conference in early 2012, not to panic and lose focus when early growth is slower than anticipated. “Unless you have a really good reason,” he said, “Stick to your strategy. Former LinkedIn employee Keith Rabois explains that, in particular, Hoffman chose to invite successful friends and connections, “recognizing that cultivating an aspirational brand was crucial to drive mainstream adoption.”  Having the power players of Silicon Valley’s dot-com successes on the network quickly increased the appeal of LinkedIn, making it a must-have for up and coming Valley workers who wanted to connect with potential investors and advisors. As more and more members of the tech community joined LinkedIn, the network effect took hold, and the site became the place to connect and access resources. 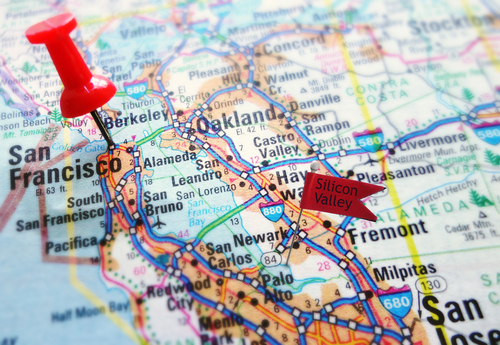 It also made it easier to stay in touch with established connections, as before LinkedIn, frequent job changes common among startup talent in the Valley meant losing touch because of changing email addresses and phone numbers. In many respects LinkedIn solved the classic chicken and egg problem of a network effect business by localizing the network to achieve critical mass around the Silicon Valley audience. Much like Facebook did five years later by constraining network growth to a single school, or Uber did a decade later by launching in one city at a time, LinkedIn kickstarted their network effects by tapping into a local population where it could reach critical mass. 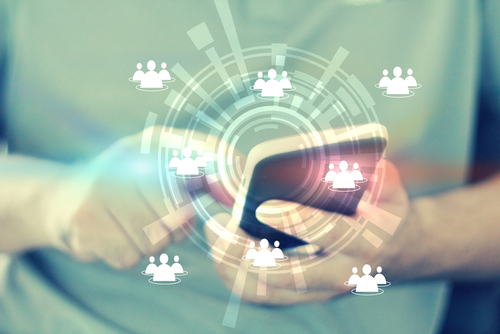 This critical mass creates the utility needed in network businesses to create the high-quality must-have experience that breeds both user loyalty and word of mouth. By tapping local business heroes, LinkedIn was able to spark growth and make it a must-have network for Valley employees. From there it spread outward through the connections of the people on the platform. Thus, LinkedIn monetized it’s key asset, offering subscriptions as a way to make connecting with others easier. It’s still free to sign up for LinkedIn and use the site’s most basic features such as creating a profile and connecting with professional contacts through referrals. However, LinkedIn Premium—which offers special packages for businesses, recruiters, job seekers, and sales professionals—boasts increased functionality and advanced features that vary from package to package. Among other things, standard LinkedIn Premium can contact people outside their networks via InMail messaging; the Sales Professionals package boasts access to full profiles for everyone in users 1st, 2nd, and 3rd degree networks; Job Seekers are given top-of-the-pile status for the resumes; and Recruiters get a specially-designed workflow and search functions. Though complicated, this tiered subscription system ensures that the many different types of users that engage with LinkedIn have a Premium package tailored to their specific needs at a price point that makes it affordable. The most basic LinkedIn Premium packages—“Business,” “Job Seeker Basic,” and “Sales Basic”—are less than $20 a month (Sales Basic is just $16/month), billed annually. The biggest package, “Recruiter Corporate,” runs $719.95 a month. This was clearly a smart move on LinkedIn’s part. LinkedIn was able to grow in four months almost the same number of signups from homepage improvements as they did over two years of email invite optimizations. Of course a near doubling of the effectiveness of email invites is nothing to look down your nose at; but these numbers do indicate that when looking for big gains in a relatively small timeframe, focusing on improving strengths presents a more powerful opportunity for growth. But the value of active users isn’t just in their engagement—active users also play a critical role in both re-activating inactive users and bringing in new ones, making virality one of the biggest keys to LinkedIn’s growth. It’s easy to understand why. A network of professional contacts is only as valuable as the richness of the results when you’re searching for a connection. In order to make LinkedIn the de facto professional network Hoffman knew they needed to get as many people on the site as possible. So what exactly did they do to encourage this virality? The more apt question might be, what didn’t they do? Elman refers to this as inception, or planting the idea of why your product is going to be useful or meaningful to users before they ever even sign up. As Elman explains, these combined efforts led to a decent but slow level of virality, or a single viral k factor. The vast majority of users had a single connection—meaning they had accepted an invitation but not gone through the steps to connect with or invite anyone else. Less than 25% of new users actually went through the process of typing in email addresses to invite new users. It’s at this point that LinkedIn began dabbling in the concept of contact importing, something that’s commonplace now but was pretty novel in 2004. At this point in time, the concept of typing in your email and password and letting a website sift through your contacts was new and furthermore most people didn’t even have contacts in their webmail clients. To account for these challenges, LinkedIn built an Outlook plugin that could be installed and mined a user’s Outlook contacts for them. Though the process was certainly laborious by today’s standards, it was still a vast improvement over manual entry. As many as 7% of users uploaded their address books, and the number of invitations sent increased by more than 30%. Though virality was certainly on an upswing, most users still had just one connection, and it took receiving 3.2 emails on average before a person would actually register for LinkedIn. It was at this point that LinkedIn decided to leverage what information they did have an excess of—current position. When people signed up for LinkedIn they were asked about their current company and title, and over 90% of people answered this question. This information was used to engineer what Elman calls the Reconnect Flow. With the Reconnect Flow, once new users signed up, they were immediately presented with a list of people at their current company already on LinkedIn and the question, “Who do you know?” Connecting was as simple as going through and checking boxes. After a bit of success from this feature, LinkedIn went back in and added another question into the new user flow, this time asking where they used to work. Again, new users were presented with another list of potential connections from their former companies. The genius behind the Reconnect Flow is that it not only allowed users to connect with contacts, but it also built out the new user’s profile—every piece of information entered was listed as part of their work experience. Furthermore, as more people joined and sent invitations to connect, current (though perhaps unengaged) users were brought back to the site—at which point they too were prompted to invite and connect with others. These efforts combined to increase LinkedIn’s virality in a big way. Pageviews increased 41%, searches increased 33%, and there were 38% more positions listed on profiles. And despite the fact that the invitation function was moved to a much later point in the new user flow, invitations still increased by 16% as well. Though this relentless testing and tweaking of flows helped LinkedIn to establish viral growth, they haven’t stopped improving the registration and invitation process. For starters, the aforementioned Address Book Uploader has also been simplified and streamlined as more and more people have switched exclusively to webmail. The Endorsements feature, which debuted in September 2012, is yet another way that new and active users can reactivate their unengaged connections. Though people question its value to users, for LinkedIn it’s a boon. When compared to costlier solutions like paid ads and email campaigns, relying on virality to re-engage inactive users is both less expensive than paid ads and far more effective than reactivation emails from the company. In 2006, the same year that LinkedIn introduced Recommendations and People You May Know, the company debuted one of its most talked-about growth hacks—public profiles. Much like the Address Book Uploader, this seems commonplace now, yet before LinkedIn made user profiles public, it was exceedingly unlikely for real people to show up in organic search results. Making profiles public created big traffic and acquisition gains for LinkedIn. Profiles showing up in search results put LinkedIn in front of more and more people. Plus, once people clicked into the site from search, they had to then sign up for LinkedIn before they could connect with the person they were searching for. Not only that, but public LinkedIn profiles made having LinkedIn that much more desirable for users who were hoping to up their profile. The site’s natural weight in Google results put user profiles quickly at the top of results for name-based searches in Google. In addition to connecting with people via the site, they could reach people who didn’t even use the site thanks to search. Due to privacy concerns, the company faced some criticism for making this move, and LinkedIn made it possible for users to hide their profile from Google search or limit the amount of information available on their public profile—the view seen by people who aren’t connected to a user. Indeed, one of the driving forces behind LinkedIn’s growth has been the company’s ability to realistically assess what’s working and what isn’t, and to adjust their approach accordingly. For example, the site’s early privacy controls severely impacted the usability of the site by making it impossible for users to see how many degrees separated them from someone they wanted to connect with—after all, an introduction via a common acquaintance is much more likely than an introduction that requires five or six people. Within months of their launch, LinkedIn resolved this issue by making degrees of separation visible. Another way the company improved the site’s usability early on involved improving the search function. The company’s original assumption was that LinkedIn would be used primarily to search for and make new connections, so it was possible to search for things like titles and skills, but not names. Yet, as it turned out, people wanted to use LinkedIn to make new acquaintances and keep in touch with established ones, so the company modified the site’s search function to work with names. Rather than merely adjusting the search function to include names, the addition of the Address Book Uploader immediately solved the problem that new users were trying to solve for in a way that they didn’t know to ask for. The company’s activities that year (and the one that followed) definitely embody those three concepts. In February of 2012, LinkedIn acquired the Gmail plugin Rapportive, which lets users connect with their contacts on LinkedIn right from Gmail and displays their most recent social networking updates, for $15M cash. This extended the ability to build LinkedIn connections from the site to user’s primary online productivity tool—email. This acquisition in particular fulfills the third concept mentioned in A Brief History of LinkedIn—everyday. When looked at as a whole, these three acquisitions—Rapportive, SlideShare, and Pulse—are part of a larger effort on LinkedIn’s part to become more than a site where people go to find jobs and hire people. Perhaps the most significant concept is everyday, and this seems to be the biggest of the driving forces behind LinkedIn’s future growth engine, even as the aforementioned forces—in particular, subscriptions and virality—continue to play a major role. LinkedIn today worked by culling news from the articles that a user’s coworkers and connections are sharing, those their industry peers are sharing, and those that are gaining attention across other industries. Users also have the option of following industries outside their own that they may be interested in or affected by. Though LinkedIn Today still exists as a separate entity at http://linkedin.com/today, the feature is now handled via Pulse, and it has been somewhat integrated with the news feed on each LinkedIn user’s homepage. One of the biggest limitations of LinkedIn Today was that is was merely a news aggregator. Though engaging and convenient, there was no original content. For this reason, LinkedIn launched their Influencer program in October 2012. The idea was simple—select “thought leaders” to create and share content directly with users, exclusively on LinkedIn. Influencers include the likes of Richard Branson, Jack Welch, and Arianna Huffington, and users can follow these thought leaders without being connected to them. As with earlier LinkedIn Today content, these articles can be read, liked, shared, and commented on within LinkedIn. Shah goes on to refer to the Influencer program as “one of the smartest inbound marketing campaigns I’ve ever seen”—which means quite a bit coming from the guy who literally wrote the book on inbound marketing and helps run the inbound marketing powerhouse HubSpot. Shah, the sixth most popular Influencer at the time, explains that in less than a year of writing as an Influencer, his posts generated 3.7 million views for LinkedIn; the top three Influencers together had generated 18.8 million views. The key is that Influencers program isn’t just good for LinkedIn—it’s good for the Influencers themselves, which is why they’re so willing to spend their limited time creating content for the site. Shah explains that, in contrast to his popular personal blog, where posts get on average 5,000 to 10,000 views, his Influencer posts on average garner 123,000. Through smart acquisitions and features such as LinkedIn Today and Influencers, the site is quickly becoming the everyday destination they want it to be. Mobile has been a huge driver for the company, and LinkedIn has kept pace with general mobile adoption through a series of apps, mobile sites and products designed for the mobile user experience. Here’s how they’ve managed that change. In 2011, the company retooled the mobile user experience on both native Apple and Android apps, along with a new HTML5 mobile site. They explained via the LinkedIn blog, “LinkedIn Mobile page views have grown more than 400% year-over-year, making it the fastest growing consumer service on LinkedIn.”  The new mobile apps were redesigned around what had become their most popular mobile features—updates from connections and LinkedIn Today; the inMail inbox; each user’s own profile and updates; and groups. Then in October 2013, LinkedIn announced the launch of a new app called LinkedIn Intro, which leveraged the technology acquired with Rapportive earlier the previous year. 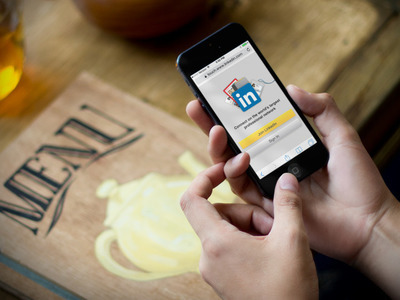 In many ways, LinkedIn Intro was pretty groundbreaking—an app designed to bring the power of LinkedIn, and the technology of Rapportive, straight to the iPhone’s Apple Mail app. Users were able to see LinkedIn profiles in the iPhone Mail app. Despite the Intro hiccup, LinkedIn has cultivated a thriving and multi-pronged mobile web presence, with not one but four mobile apps—LinkedIn Phone, LinkedIn iPad, Contacts, and Pulse. While the first two are fairly straightforward apps, Contacts and Pulse serve as a bit more of an extension of the site’s current functionality. Contacts not only stores contact information, but it provides job change and birthday alerts and stores relationship history that is, in the company’s own words, “available at moment’s (or a meeting’s) notice.” The Pulse app, by contrast, is yet another extension of LinkedIn’s shift toward everyday, allowing users to choose from thousands of sources to create a custom news feed, explore trending content, and share with their networks. The LinkedIn growth story is an instructive one, because it provides us with a look at a very successful company from start to public offering. It’s clear that LinkedIn understands and values growth on all levels and is willing to experiment with a variety of growth strategies to find what ultimately makes the platform as valuable to as many users as possible. With the growth in mobile, acquisitions, and content, LinkedIn has continued to evolve from its original mission but has kept the primary value of the experience intact, something that is not easy to achieve. As LinkedIn continues to grow, their need for finding new upside at scale will continue to push them to innovate, acquire and rethink how users use LinkedIn. As more mobile-first millennials come into the workforce, LinkedIn will be tasked with addressing the needs of a changing workforce to remain relevant and growing. There’s a lot to cover in the 12 years since Reid Hoffman began building LinkedIn. What did we miss? What key factors would you add to the LinkedIn growth engine? And what’s next for them? Great analysis morgan! I know you spent a ton of time on this and the effort was worth it. One thing I find interesting about LinkedIn is that some of the aggressive tactics that helped them gain initial traction are still pursued with the same vigor today. I went through the sign up process again last week just to check. For example, they still encourage you to upload your whole address book. If you click "skip" they pop up a message that pushes even harder. They also email frequently to new unengaged users. They hit my fake account with a new email every three days since I signed up asking for more profile information or "do you know X,Y or Z people." While it's a bit aggressive, it has clearly been effective in building a lasting valuable company. It seems that they realize that if you don't get active quickly, you'll never become active. Of course on my real LinkedIn account I get multiple emails per day. But they are usually notifications about new invites or invites accepted. Those don't seem as annoying because it is based on the action of a person. Overall, I think there is a ton we can all learn from LinkedIn's growth initiatives. Thanks again for the well researched article morgan. It's true, LinkedIn is relentless with their growth. Every product they release seems to have a growth focus. For example, endorsements, which many people have criticized as being of questionable value, are a huge re-engagement loop that draws people in and back to the site. Their new profile pages includes a leaderboard feature which tells you how popular you are among searches compared to your peers. Re-engagement again. It's highly calculated in everything they launch. LinkedIn recently lost Elliot Shumkler one of their main growth leads to Wealthfront, where Adam Nash, another former LinkedIn growth lead is now the CEO. Josh Elman is now at Greylock. It will be interesting to see how LinkedIn's growth culture evolves now that some of the main players behind this original growth have moved on. "While it’s a bit aggressive, it has clearly been effective in building a lasting valuable company" It will be interesting to see the long term effects of their more recent tactics. I have definitely gotten value out of Linkedin, but their post IPO tactics have tarnished their brand a little for me. I've heard the same thing from friends and seen it in tweets from others. Their more aggressive tactics strike me as being too focused on the numbers. @morgan even hints at this with their endorsements product: "which many people have criticized as being of questionable value, are a huge re-engagement loop that draws people in and back to the site". Linkedin gets value here, but I wonder if anyone else does. The more egregious examples (for me) are around pushing the premium membership. I get multiple emails a week about signing up. I've unsubscribed several times, but they keep sending them. Their taking away info for third party connections while providing the majority of it in a public profile is another example. There is a ton to learn from Linkedin about growth (and thank you @morgan for all the work you put into this), but I'd be careful about mimicking their more aggressive tactics. They definitely are aggressive, but I love that they are experimental. They are not afraid to try new things, even as a publicly traded company, which I applaud. The email application that they got absolutely killed over was a brilliant growth concept, but didn't stand up to privacy concerns. Good on them for pushing it out and trying it, in my opinion. Same goes for some of the "you're in the top 1% of friends..." emails that while cheesy on some level clearly resonated with others. So much so that it led to that leaderboard mechanic making it's way into the new profile views. I think the lesson that I would take from LinkedIn is not one of needing to be too careful because LinkedIn is too aggressive. For me the take away is that growth requires continued experimentation and is never "done". For a startup to succeed they need to take risks, try things, and find what works—and do this over and over again. LinkedIn has pushed it's growth through the product in hundreds of ways over a decade. They're ingenuity is impressive, even if they occasionally step in it. While I don't think anyone should just 'mimic' a certain tactic or approach, I think LinkedIn's general approach to growth is one that many could learn a lot from. LinkedIn is a great company to profile. I don't think it gets its due in the startup world. It doesn't have the cool factor and has a perception that its too 'corportate.' I have read so many articles about how terrible LinkedIn is and how it needs to be disrupted but meanwhile, they keep growing. Thanks for reading Jim. I agree. Outside of the stock market, they don't get enough credit for what they've accomplished. Excellent!! Great insight and analysis! Thank you! Morgan - thanks for the write up! Lots of great insights. I spent more time on LinkedIn than on Facebook. Would love to know if that's common amongst professionals. I don't know if it's common but I'm sure it's music to LinkedIn's ears. Their goal with the feed, influencers, blogging, slideshare embeds, etc. are all part of the LinkedIn Everyday goal. Brilliant!! Thank you for your insight and analysis!! For me, the coolest growth tactic they have is on mobile. It seems that they leverage "momentum" and focus on making slightly active users into more engaged users. Once the momentum is gained, they hone in with bigger callouts to other features. I also feel that they employ some key things in the "momentum" theme, i.e. "Stuff to ignite momentum", "stuff to segway to, to sustain momentum", "stuff to levearge momentum and move user to a more power user group". With so much analytics at hand LinkedIn is really leveraging the strengths. My takeaway from LinkedIn's growth is the way they build Momentum. Another thing that Linkedln did was the bar telling you how complete your profile was- By human nature we want to have all completed, that little bar did that the users of Linkedln fill more their profile. This was explained by Profesor Kevin Werbach from Wharton University in his Gammification course at Coursera. @morgan This is great. LinkedIN continues to grow and thrive. Thanks for sharing this. LinkedIn is a great way to network. "Pulse" is a great news feed as well. Great stuff here! Thanks for sharing. I like the information that you included in this post. racing games I will be able to use some of it. Hi Morgan, It was a really nice post! Happy to hear that Linkedin is expanding.